There are a few different options when choosing privacy window film. Your choice will depend on how you want the film look and how well you also want to be able to see out. This article will describe some of the more popular privacy window films. The first option is a reflective mirror film. This makes it so that viewers on the outside only see a reflection and cannot see through into the room. Dual reflective films have this feature but also have a neutral, non-reflective inside finish so that people on the inside can see out easily. For that reason, this is the most popular type of reflective film. This type of film works well during the day, but at night when there is less light outside than in, you may not get sufficient privacy. If this is an issue, a common solution is to use two layers of the film and increase the darkness. Even at night, people on the outside will not be able to see in. However, this makes it harder to see out during day and night. Remember that it is difficult to get both nighttime and daytime privacy. The best option is a good balance of the two. 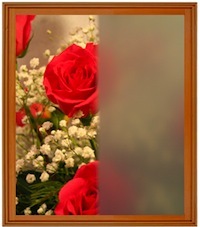 For DIYers, the Premium Dual-Reflective Window Films are some of the best privacy films available. Frosted privacy films are the best option for getting near 100% privacy and letting light in through the window. This film, however, will not allow visibility from either side. Only use this film when this is not an issue. This is commonly used on bathroom windows, conference rooms, or any other areas where it is not crucial to be able to see out. While frost films come in many different colors, White Frost is the most common type. You can find White Frost Window film here. For those situations where you need 100% privacy from both both directions, opaque films will cut out all visibility and light. The most popular film types are the Blackout and Whiteout. Be sure to use Blackout only on single-pane windows.